Contract Ammo Manufacturer | Ammo & Bullet Mfg. Inc. Guns are no joking matter. That’s why you need to prioritize quality over quantity all the time. When looking for a contract ammo manufacturer to work with, some people make the mistake of choosing one that’s cheap but inefficient. However, if you’re serious about guns and ammunition, you should always choose a contract ammo manufacturer that guarantees quality in every cartridge you purchase. Remember that a single defective cartridge can cause a major disaster. If you’re looking for a world-class contract ammo manufacturer, then you’ve come to the right place. Ammo and Bullet is a professional, top-tier contract ammo manufacturer that caters to both local and international clients. Individuals and groups from the retail industry, law enforcement sector, and military turn to us if they need a contract ammo manufacturer. Read this article to see how this one man sold ammo out of a vending machine at a gun club: http://www.foxnews.com/us/2015/03/05/worth-shot-pa-man-vending-machines-sell-ammo.html. One of the reasons our clients choose us to be their contract ammo manufacturer is our precision. Ammo and Bullet is a contract ammo manufacturer that goes the extra mile to ensure that every cartridge is checked meticulously, including its length, height, weight, and powder level. As a contract ammo manufacturer, we are proud of the fact that all our bullets are of the highest quality and ready for action. 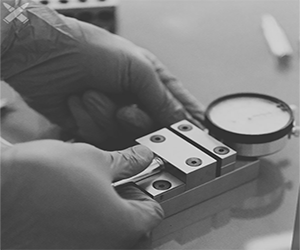 Click here to learn more about our quality control process. Are you passionate about guns and ammunition? Then you might consider making a living out of it! As a contract ammo manufacturer, our company has worked with various entrepreneurs who sell their own line of ammunition rounds. While it may be nice to make your own bullets by yourselves, working with a contract ammo manufacturer can be a more profitable and efficient choice. One reason why ammunition dealers turn to a contract ammo manufacturer is their difficulty of producing sufficient supplies. Whether it’s the lack of knowledge about ammunition production or simply a lack of manpower, there are plenty of reasons why an arms dealer would work with a contract ammo manufacturer. As a startup, you would find it more beneficial if you take advantage of the products and services of a contract ammo manufacturer that has gained a significant experience in the industry. Are you planning on making your own line of ammunition? Then you need a contract ammo manufacturer that can meet your specific requirements. If you like to sell ammunition exclusively at your shop, Ammo and Bullet is the contract ammo manufacturer that can give you the specialized bullets you need. As a contract ammo manufacturer that works with clients across the globe, we have a wide range of options available. Whether you’re looking for lead-free bullets, hollow-points, weapon-specific ammunition, or even environmentally friendly bullets, we have them all. When looking for a contract ammo manufacturer, you should always prioritize the safety and quality of each cartridge. A single cartridge can be the difference between life and death. That’s why we employ a multi-layered screening process. All the bullets we produce undergo laser scanning to measure their powder level, and we check the cartridge’s length and bullet seating. Our packaging specialists do the final round of quality assurance by getting a random sample from each batch. We perform all these safety measures and more just to produce products that would not put the lives of our customers and the people around them at risk. Work With a Reliable Contract Ammo Manufacturer Today! Contact Ammo and Bullet when you need a contract ammo manufacturer. We are a contract ammo manufacturer that is trusted by law enforcers, military forces, and arms dealers, among others. We take pride in the reputation we have built and strive to uphold it. Get in touch with us today to learn more about what a contract ammo manufacturer does and how we can provide you with the ammunition you need!